Benjamin Netanyahu knows a thing or two about election-night surprises. In 1996, after months in which rival Shimon Peres seemed headed for a landslide, Netanyahu defied the exit polls and squeaked by in one of the great upsets of Israeli electoral history. “Went to bed with Peres, woke up with Netanyahu,” went the saying. Those hoping for a reverse scenario in tomorrow’s Israeli elections can stop reading here. Netanyahu is not going anywhere (if it’s up to him, as he said over the weekend, he will run again in the next elections, slated for 2017). And if the conventional wisdom is correct, he will opt for a right-wing coalition much like his current one. But there is suddenly another scenario – unthinkable just a couple weeks ago – in which Netanyahu emerges badly weakened by tomorrow’s results and finds himself cornered into a centrist, national-unity government that will force him to make tough choices on the peace process and other issues. Farfetched? Yes. Impossible? Not anymore. Before explaining why it could happen, it’s worth noting why it’s unlikely to. Netanyahu goes into tomorrow with many advantages. Despite mediocre approval ratings, voters see him as the only plausible prime minister in the field of contenders. And despite the disappointing performance of his Likud Party's alliance with indicted (now-former) Foreign Minister Avigdor Lieberman's ultra-nationalist Yisrael Beiteinu (“Israel Our Home”), the bloc is still poised to win twice as many seats as its closest competitor. But Netanayhu's invincibility always lay less in the power of his personal brand or that of his party than in the total parliamentary strength of the right-wing parties that make up the core of his coalition: Likud, Yisrael Beiteinu, the ultra-Orthodox parties (Shas and United Torah Judaism), and the pro-settler HaBayit HaYehudi (“Jewish Home”). For months in the run-up to these elections, those parties enjoyed a commanding lead over their centrist and left-wing rivals, scoring roughly 70 seats between them versus 40 for the center-left as of a few weeks ago. (The Arab parties, which never have been – and likely never will be – part of an Israeli government, have generally been steady at eleven or twelve seats). But in 2013, the balance has steadily shifted against Netanyahu and the right. In the final two days of polling (with the exception of one outlying pollster), the right dropped to the mid-sixties, with two polls giving it 63 seats, just two more than the 61 Knesset members needed to form a government. Making matters worse for Netanyahu, in most of the polls that total includes two or three seats from the surging Otzma L’Yisrael (“Strong Israel”), a pro-settler party with views so extreme that Netanyahu could not plausibly include them in his coalition. Likud Beiteinu has suffered the bulk of the losses (the alliance, which Netanyahu's political adviser predicted would win 47 seats, is polling as low as 32, ten less than the two parties have in the outgoing Knesset). It’s not clear why this has happened. It could be that Netanyahu has hemorrhaged votes in the center as he’s tried to woo back right-wing votes lost to HaBayit HaYehudi under the leadership of staffer-turned-rival Naftali Bennett. It could be that some of Avigdor Lieberman's supporters have begun exploring centrist alternatives now that his legal troubles have sidelined him. It could also be that the rhetorical campaign against Netanyahu – joined in recent weeks by his predecessor, his former intelligence chief, President Obama, and the country's president – is finally making a dent. And it may not matter. If the polls are accurate, Netanyahu will still enjoy the same right-wing "blocking majority" he has had for the past four years and will enter coalition negotiations from a position of strength. The conventional wisdom is that he will secure his right-wing base and then try to lure one or two center-left parties as a moderate fig leaf to appease the Israeli public and the international community. Should this happen, Netanyahu would have a huge problem. While his preference would remain the same – to entice one or maybe two center-left parties into an otherwise right-wing coalition – his loss of a pocket majority would force him to concede far more in the negotiations, particularly in the makeup of the government. All four center-left parties have said that they would not join a right-wing government alone (Labor Party leader Shelly Yacimovich recently promised not to join a Netanyahu-led government under any circumstances, but that followed months of demurral). And were they to negotiate as a bloc with an "all-of-us-or-none-of-us" approach, Netanyahu would have no choice but to take all of them. The result would be a national-unity government consisting of Likud, Yisrael Beiteinu, Labor, former journalist Yair Lapid's Yesh Atid (“There is a Future”), former foreign minister Tzipi Livni's "The Movement," and Kadima (like Otzma L’Yisrael, the party seemed unlikely to cross the two-percent threshold needed to get Knesset seats just a few weeks ago, but is now expected to get in with two or three seats). 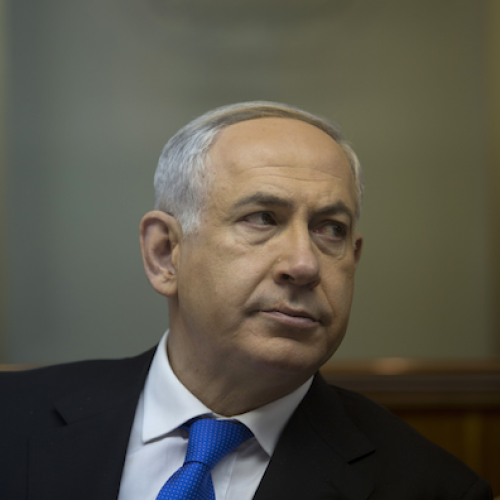 For Netanyahu, such a secular centrist government would have its advantages. It would enjoy broad public support, particularly were it able to rescind some of the privileges (such as exemption from military service) given to the ultra-Orthodox by previous Israeli governments. It would also appease the global community, particularly if Netanyahu restored the internationally popular Livni to the foreign ministry. And it would no doubt be personally satisfying for Netanyahu to exclude arch-nemesis Naftali Bennett (Bennett, who had a falling out with Netanyahu and his wife after a short stint as his bureau chief, joked a few days ago that he was in "terrorism course" with Sara Netanyahu). But for obvious reasons, this arrangement would be a nightmare for Netanyahu. The government would be highly unstable, likely leading to early elections within two or three years. It would be less likely to rubber-stamp a unilateral attack on Iran. And it would also force Netanyahu beyond his comfort zone on the peace process--an issue he’s been perfectly comfortable to avoid. Fortunately for Netanyahu, it's a nightmare he's likely to avoid. Barely.